Need a fun, fall snack to satisfy your sweet tooth? That can be tricky if you are trying to cut back or eliminate processed sugars in your diet. Since there are plenty of good, healthy reasons to watch your sugar intake, we don't want to discourage that! 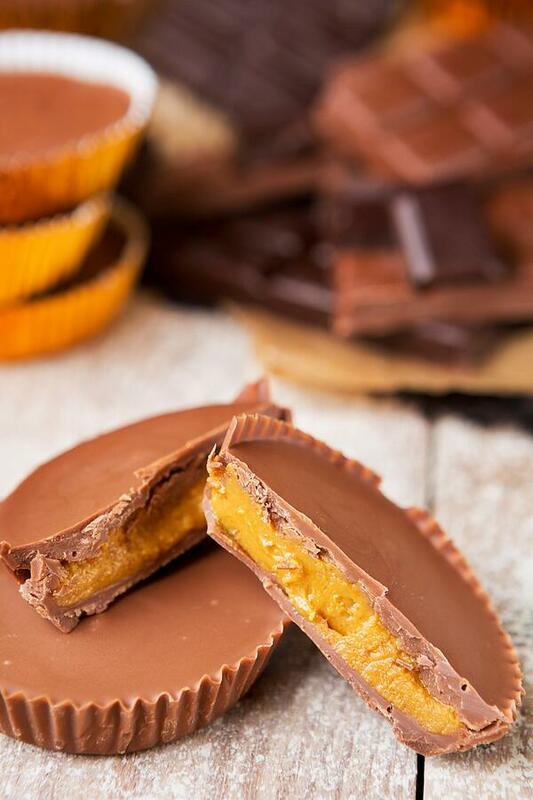 Instead, we're going to share a recipe for yummy peanut butter cups that are made without processed sugars. Gasp--it's a miracle! (They can even be vegan). Line a mini muffin pan with 9 mini liners. We’re only making half, but if you want you can double the recipe to make 18 mini cups. Now it’s time to melt the chocolate: Place 1.75 ounces of dark chocolate into a microwave safe bowl and microwave in 30 second increments until chocolate is melted. You can also melt the chocolate in a medium saucepan over low heat; stirring frequently. Once chocolate is melted, add 1 teaspoon to the bottom of each cup (about 1 heaping teaspoon). Use the spoon to push/spread the chocolate all the way up sides of each liner, you should use exactly the amount of chocolate that you melted. Once you’ve filled all the cups, place the pan in freezer for just a few minutes to harden the chocolate. Make the peanut butter cup filling: Add peanut butter, maple syrup and coconut flour to a medium bowl and mix until smooth, place ½ tablespoon of the mixture in each cup on top of the chocolate. It should fill pretty much to the top. Place back in the freezer while you melt the remaining chocolate bar in the microwave (or on the stovetop) as you did with the previous bar. Spoon about 1 teaspoon on top of the peanut butter, making sure you cover all of the peanut butter filling. Freeze for 5-10 minutes until chocolate is solid. Once cups are firm, you can store them in the fridge or freezer until ready to eat. Makes 9 mini peanut butter cups. This recipe is from Ambitious Kitchen. 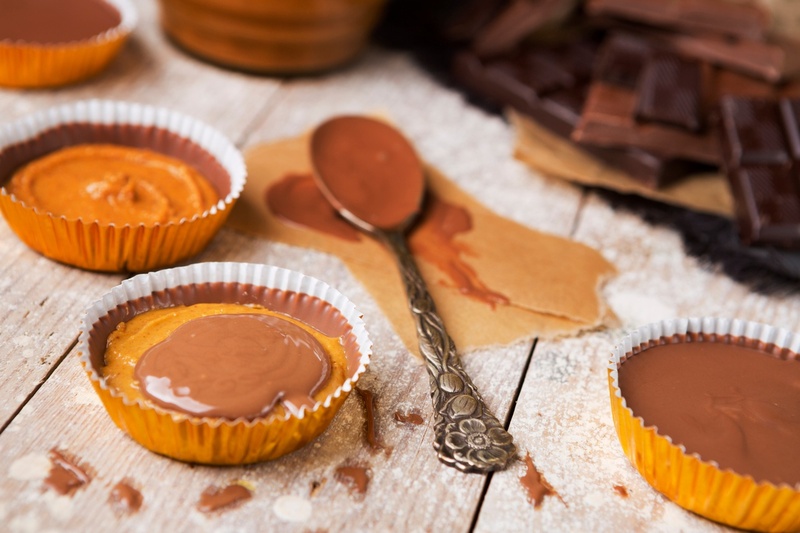 Click there for more tips on making these healthy peanut butter cups, including freezer storage.